I'm still not bored of my Silver Shatter yet. Can you tell? I couldn't decide on which colour I wanted so I decided to opt for two colours I hadn't used yet. 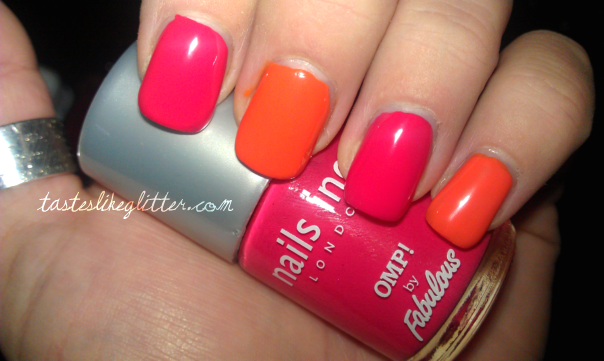 The Nails Inc. Fabulous polish in OMP! and Atomic Orange. Two coats of each. 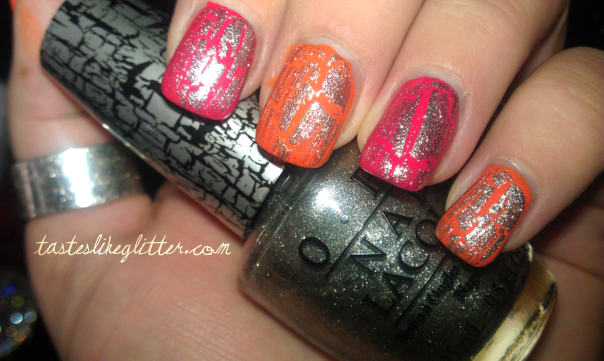 Finished with a coat of O.P.I's Silver Shatter and China Glaze's Fast Forward. I loved this combination and kept it on for ages without getting bored, which makes a change. I can't wait to try it over Winter colours like deep blues and purples!